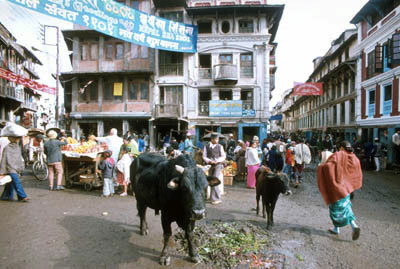 The above image was produced by combining three separate images of this conversation piece between the two children in Kathmandu. The three Agfa slides were scanned into Photoshop. 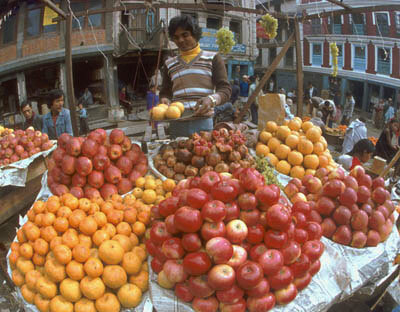 The market square in Kathmandu is a hive of activity and there is plenty of photographic potential to keep a photographer happy. 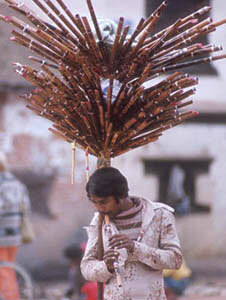 On the sound bite you will hear the flute player -below - the sounds of traffic on nearby roads combing with the bustle of a market square.